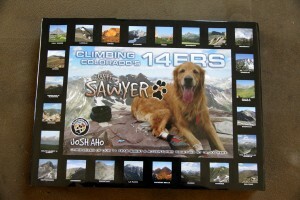 Well, after 7 years in the making and 11 years of climbing 14ers with his golden retriever named Sawyer, Josh Aho of Denver completed his wonderful coffee table-style book chronicling his and Sawyer’s 14er adventures together in an attempt to become the 2nd human/dog duo to climb all of Colorado’s 14ers. 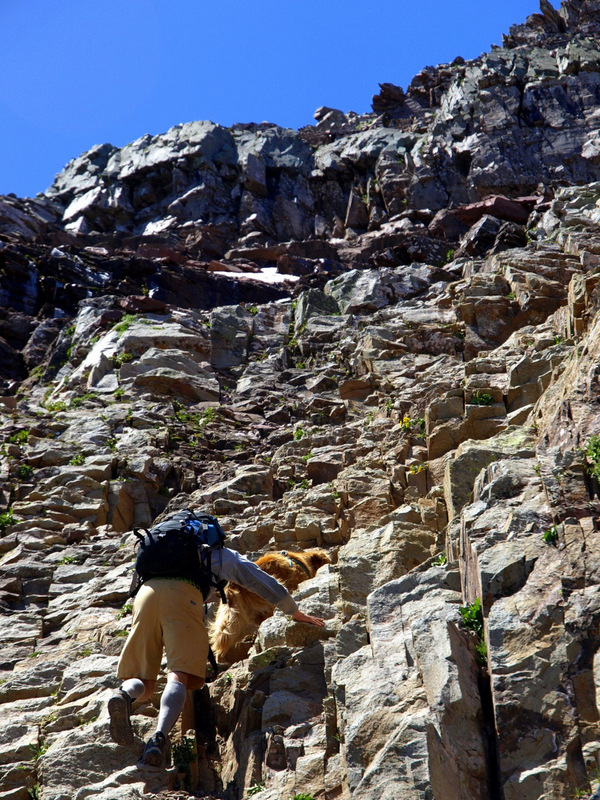 They were so close to completing their goal, but Capitol Peak, widely regarded as Colorado’s hardest 14er by its easiest route, eluded them. This book really is a one of a kind book and anyone who loves dogs and hiking mountains should buy this book. 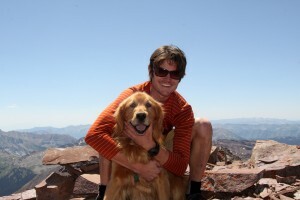 Years ago Josh reached out to me inquiring about Rainier’s 14er adventures and climbs with me. 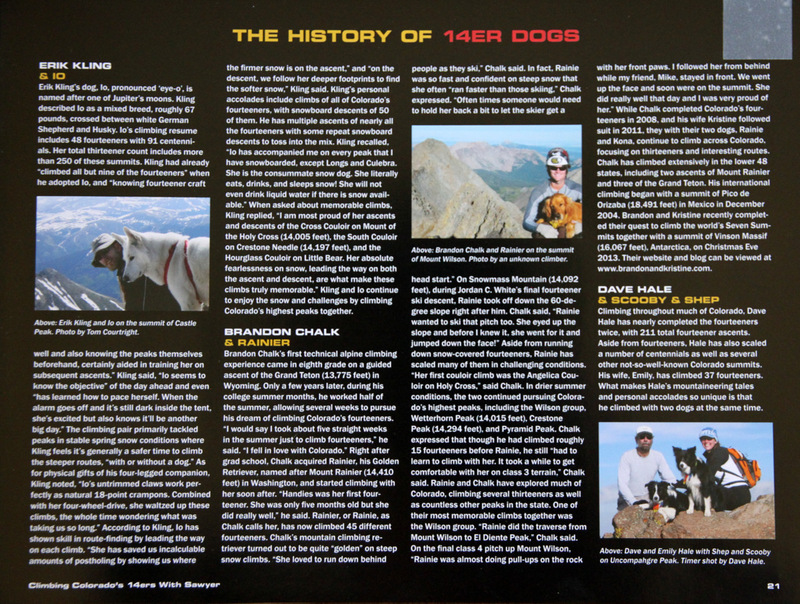 He was planning on doing a section of his book dedicated to the history of 14er dogs who had climbed a significant number of them and had done some of the tougher peaks. I was honored that he thought to include her in this section. 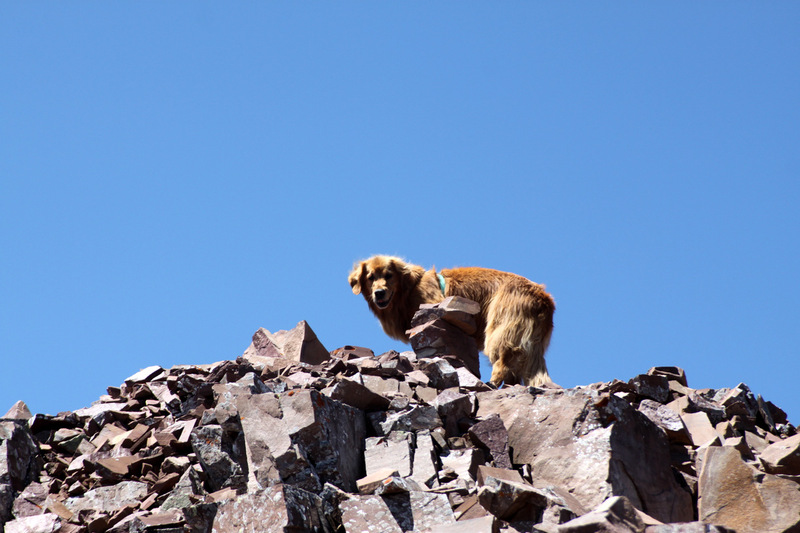 Rainie was honored too 🙂 Rainie and I have spent a lot of time together exploring the Colorado 14ers (and countless other peaks and areas) and she really was my #1 partner for so many years on these peaks. All said and done she climbed 45 different 14ers (of 54) and probably 150+ total ascents of 14ers with multiple repeats. She has probably logged 25 ascents up Quandary Peak south of Breckenridge not to mention 3 summits of Snowmass Mountain, 2 of Wilson Peak, 2 of Mt. Sneffels, 2 summits of both Challenger Point and Kit Carson Peak, the El Diente to Mt. Wilson traverse, 1 ascent of Pyramid Peak, 1 ascent of Wetterhorn Peak, and 1 of Crestone Peak just to name the highlights. 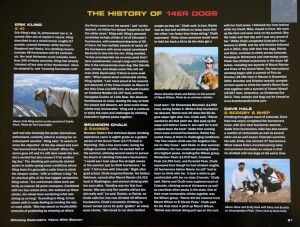 The History of 14er Dogs section. Can you spot Rainie? I cannot imagine the effort and dedication it takes to pull off a book like this and my hat (several hats) are off to Josh on a monumental effort and wonderful success. He initially had 1,000 of these books printed and shipped to his home and I have no doubt he can sell them all. 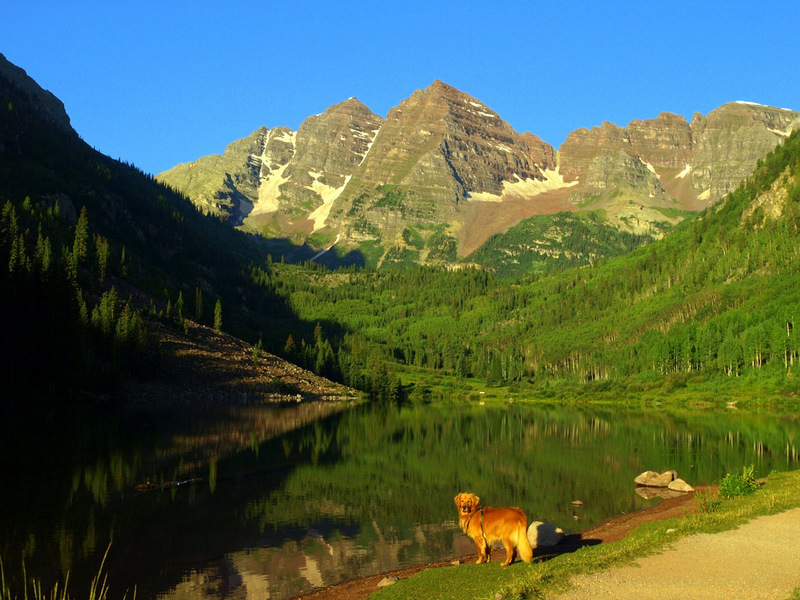 There are so many hiking dog lovers all over Colorado and the country that would love every page of this book. 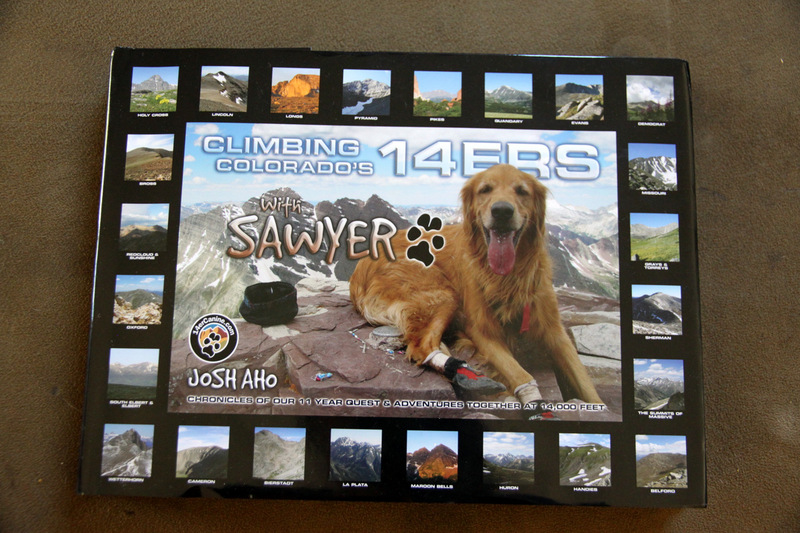 The pictures are outstanding and Josh chronicles each climb with Sawyer and even has a “paw” rating for how dog-friendly the 14er may be. 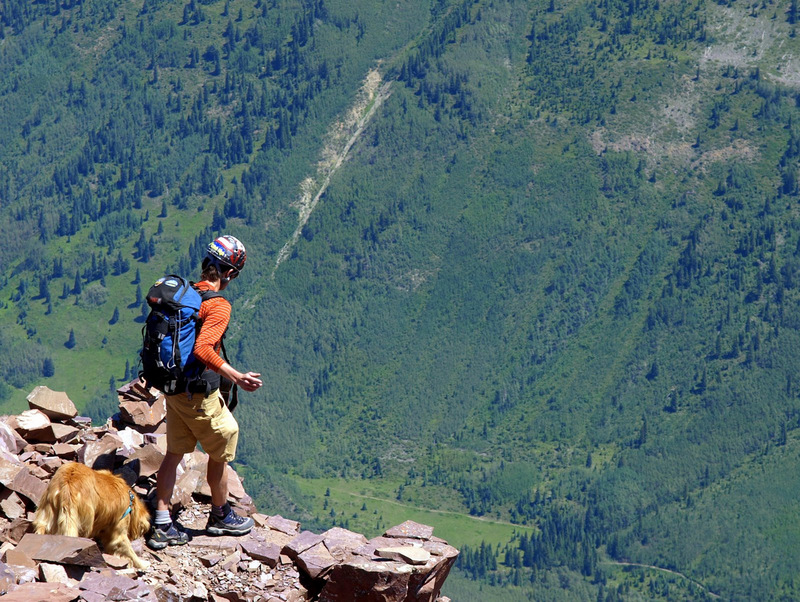 A few chapters are dedicated to certain climbs that took multiple attempts and extraordinary effort. 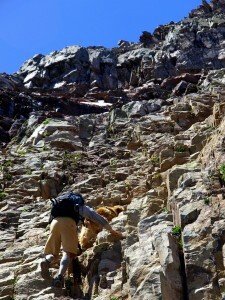 One such chapter details their climb of Pyramid Peak, likely one of the top 5 hardest 14ers. I haven’t reached this chapter yet in my dissection of this book, but I can’t wait to get there as I have fond memories of Rainier and I climbing this same mountain. Anyway, back to Josh’s book. Weighing in at over 5 lbs, its a beefy book but is packed full of 350+ pages of wonderful photos and stories. As slow a reader as I am, its going to take me a while to read the entire masterpiece, but if you like mountains and dogs, you should order a copy. 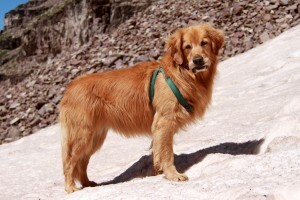 More details and ordering information can be found on Josh’s website at www.14ercanine.com. P.s. I saw Rainier’s photo in the 2011 Vail calendar (Stan H. showed it to Anna-Lisa at work). What a beast! Thanks, Ben! Good to hear from you! Hope you, AL, & Jax are wonderful, buddy. 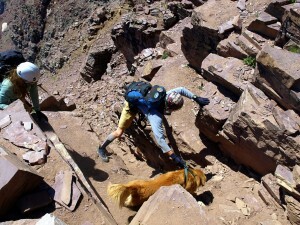 Yes, I imagine you are relating to the whole peak bagging adventures with your dog more & more. 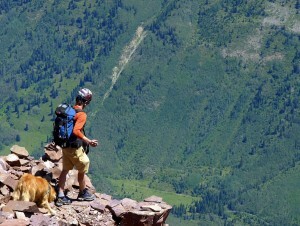 Yes, the 2011 Vail Daily calender! Joel had a good photo that made Rainie a covergirl! That was fun. Hope to see you all soon, man.